This is BMW's own R1. A project actually never realised on production. It had an aluminum twinspar frame, and used the tele/para-lever suspension systems. 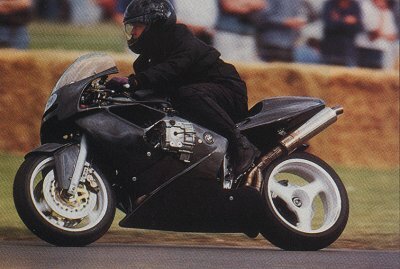 The engine was a 1000cc flat twin, watercooled too, and with DOHC on each side. 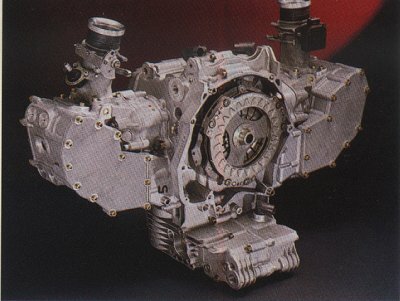 It used a desmo system on the valvetrain. It was caught testing, but it really never got a 2nd thought to get into production. 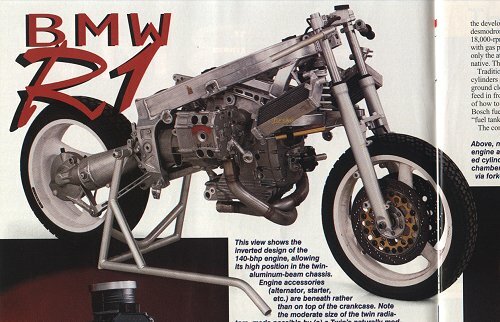 Photos and details courtesy CycleWorld, August 2000 issue. I hope they won't... sue me!